I found this recipe on a blog many moons ago (I can't remember who's - if it is yours, please do tell me!). I remember making it when I first saw it and the ganache being too bitter as I used two blocks of Lindt 70% dark chocolate, so this time I changed up the recipe and used some Lindt milk chocolate and Lindt 70% dark chocolate. The recipe is really easy and perfect if you are whipping it up at the last minute like me. Since I rarely forward-think, I am often looking for last minute ideas for sweets/savouries to take to parties. My neighbour hosted a little Christmas get together with the only request being for everyone to bring a sweet or savoury snack. - Put your pie base in the oven and cook it for 10 minutes on 180 degrees celcius. I am sure you seasoned bakers would put pie weights, but I however did not. 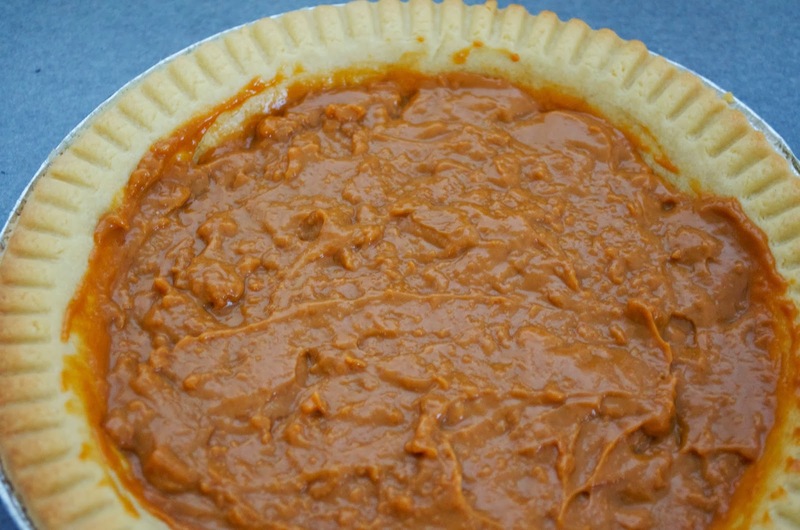 - Pull it out of the oven and fill it with the whole can of the caramel mix and bake it for a further 30 minutes on 180. 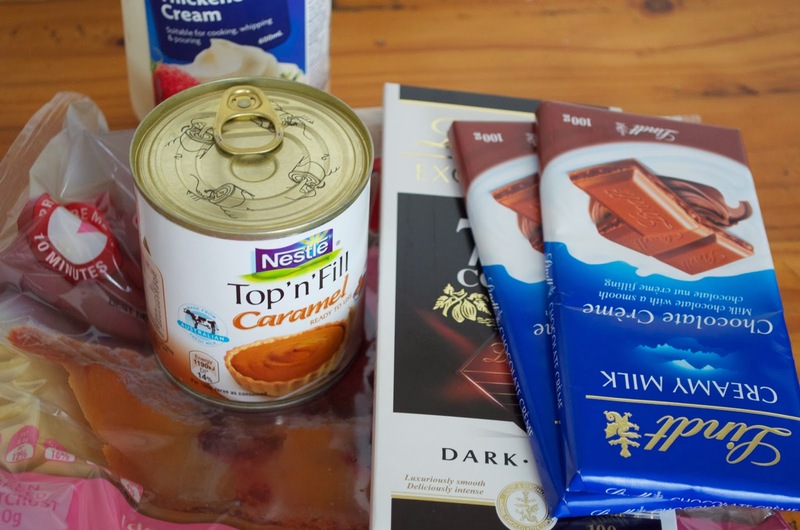 - While that is cooking (and not too soon), prepare your ganache. I use the old two saucepan with hot water trick on the stove top as I don't have a microwave. Mix your chocolate and cream together and mix it until the chocolate has melted. The consistency should be smooth. - When the caramel has cooked, crack some salt over it (you can choose how much or how little. 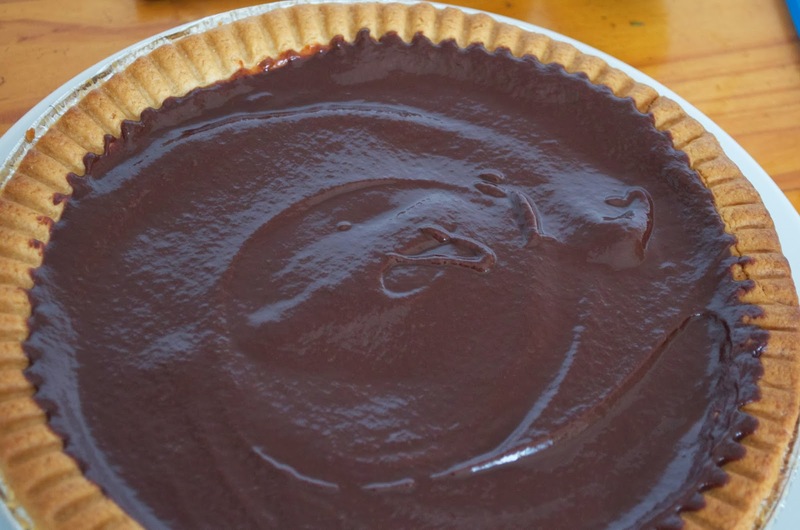 - Pour the chocolate over the top and put it in the fridge to set. Mine took about 3 hours, but you can leave it longer. - When it is set, sprinkle some cocoa over the top and it is done! I forgot to get a finished product photo, so you will just have to use your imagination. I hear the tart was a hit with everyone! the last photo already looks YUMMM!!! This looks delish and so simple! Will have to try this at Christmas as I'm sure to be time-poor. MMMM, nom nom nom. I want in my belly. Plus your photos are devine.